Man of Steel sequel director Zack Snyder Tuesday on Twitter posted an Image of Ben Affleck as Batman, along with the Batmobile. The movie is set for release on May 6, 2016. For covers and 8- to 10-page previews of DC Comics titles arriving in stores on Wednesday, May 14, CLICK HERE. 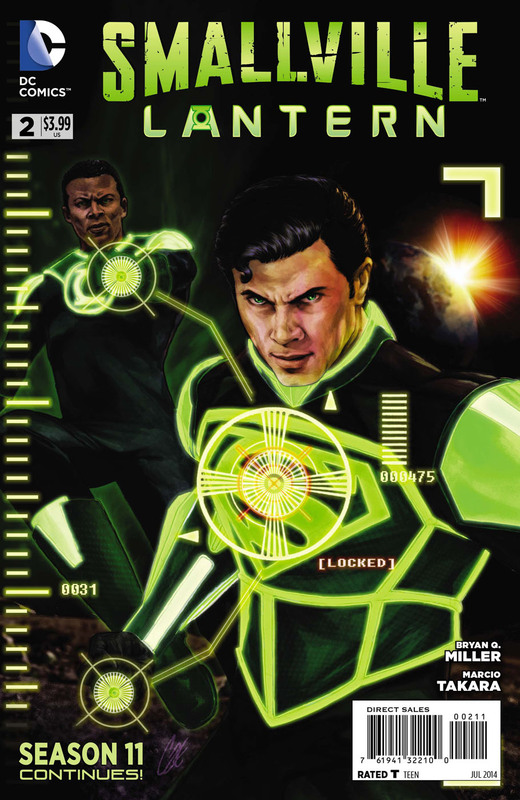 Titles include Action Comics #31, Astro City #12, Batgirl #31, Batman Eternal #6, Constantine #14, Fables #140, FBP: Federal Bureau of Physics #10, Green Lantern Corps #31, Justice League United #1, The New 52: Futures End #2, The Royals: Masters Of War #4, Scooby-Doo, Where Are You? #45, Scooby-Doo, Where Are You? #45, Superboy #31, Superman Doomed #1, Superman/Wonder Woman #8 and Worlds' Finest #23. For covers and 8- to 10-page previews of IDW Publishing titles arriving in stores on Wednesday, May 14, CLICK HERE. For previews of Marvel Comics titles arriving in stores on Wednesday, May 14, CLICK HERE. For previews of Image Comics titles arriving in stores on Wednesday, May 14, CLICK HERE. For previews of Oni Press titles arriving in stores on Wednesday, May 14, CLICK HERE. For previews of Dynamite Entertainment titles arriving in stores on Wednesday, May 14, CLICK HERE. For previews of Zenescope Entertainment titles arriving in stores on Wednesday, May 14, CLICK HERE. For previews of BOOM! Studios titles arriving in stores on Wednesday, May 14, CLICK HERE. For previews of Dark Horse Comics titles arriving in stores on Wednesday, May 14, CLICK HERE. For previews of Valiant Entertainment titles arriving in stores on Wednesday, May 14, CLICK HERE. ABC has announced a new time period for the second season of Marvel's Agents of S.H.I.E.L.D. as part of its 2014-15 slate of programming. Agents of S.H.I.E.L.D. will move back one hour to 9 p.m. on Tuesdays. Marvel's new series, Marvel's Agent Carter, will serve as bridge programming between the fall finale and winter premiere of Marvel's Agents of S.H.I.E.L.D. "Marvel's Agent Carter, starring Captain America's Hayley Atwell, follows the story of Peggy Carter. It's 1946, and peace has dealt Peggy Carter a serious blow as she finds herself marginalized when the men return home from fighting abroad. Working for the covert SSR (Strategic Scientific Reserve), Peggy must balance doing administrative work and going on secret missions for Howard Stark all while trying to navigate life as a single woman in America, in the wake of losing the love of her life - Steve Rogers. Inspired by the feature films "Captain America: The First Avenger" and "Captain America: The Winter Soldier," along with the short "Marvel One-Shot: Agent Carter." Marvel's Agent Carter was written by Christopher Markus and Stephen McFeely. Executive producers are Tara Butters, Michele Fazekas, Christopher Markus, Stephen McFeely, Chris Dingess, Kevin Feige, Louis D'Esposito, Alan Fine, Joe Quesada, Stan Lee and Jeph Loeb. Matt Ryan and Lucy Griffiths, stars of NBC's upcoming Constantine, talked briefly about the series at the network's upfront presentation. Warner Bros. Home Entertainment has released a clip from JLA Adventures: Trapped in Time, original movie coming to DVD on May 20. "After crafting a monumentally over-the-top plan to take over the world by expanding the polar ice caps, mastermind Lex Luthor is missing and widely presumed dead. One thousand years later, Luthor is discovered and memorialized in the Legion of Super Heroes' museum, where the teenage super hero, Karate Kid, accidentally releases him. The museum contains both the knowledge of Superman's secret identity and a way to time travel, in the form of the mysterious Time Trapper. Once Lex Luthor is free, he quickly sets out on a mission to permanently erase Superman from the time stream. "For the Justice League -- Superman, Batman, Wonder Woman, The Flash, Cyborg and Aquaman -- along with Robin and teen super heroes Karate Kid and Dawnstar, the stakes have never been higher. Facing the deadliest rescue mission to date, the future lies in the hands of the Justice League as it struggles to confront its most critical challenge: the threat of having never existed!" JLA Adventures: Trapped in Time is directed by Giancarlo Volpe from a script by Michael Ryan. The film features the voices of Diedrich Bader (Batman), Peter Jessop (Superman), Jason Spisak (Flash), Grey DeLisle Griffin (Wonder Woman), Dante Basco (Karate Kid), Laura Bailey (Dawnstar), Corey Burton (Time Trapper), Kevin Michael Richardson (Black Manta, Solomon Grundy), Fred Tatasciore (Lex Luthor), Travis Willingham (Gorilla Grodd), Avery Kidd Waddell (Cyborg), Liam O'Brien (Aquaman), Thomas Gibis (Toyman), Erica Luttrell (Cheetah), Michael Donovan (Bizarro) and Jack DeSena (Robin). BLACK WIDOW, PUNISHER CROSS OVER: Marvel Comics has announced "Friend From Foe," a crossover taking place in Black Widow #9 and The Punisher #9 in August from writer Nathan Edmondson and artists Phil Noto and Mitch Gerads. "Both stories led us to a place where a crossover was possible at just about the same time," Edmondson said. "We knew fans were clamoring for it from the beginning, but we didn't want to rush into it -- when it was a natural time, we came up with a really unique way to launch into it." "Circling the same sinister syndicate put the Punisher and Black Widow on a collision course with each other. A collision course that will lead them to an oil tanker full of dangerous explosives and even more dangerous information! Not to mention deadly mercenary Crossbones and his Skull Squad are just waiting for their chance to strike!" "Frank and Natasha are a really interesting pair to combine together," Edmondson said. "On the one hand, they seem to exist in the same kind of heroic/antiheroic space in the Marvel Universe, but at some point the similarities stop and the disparity begins, and the tug and pull between those two ends will be at play here." VERY BRIEFLY: AMC has released the first photo from Season 5 of The Walking Dead, featuring Andrew Lincoln as Rick Grimes.